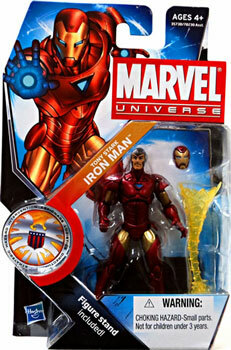 Description Of Item: Marvel Universe - Tony Stark Iron Man. The legends of the Marvel Universe got a little bit smaller! These pocket-size, 3 3/4-inch action figures include incredible articulation and amazing detail, and will be perfectly scaled with your other similarly sized toys.